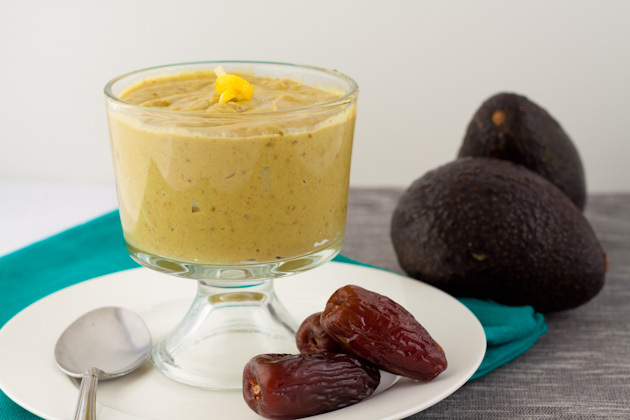 The lemon flesh adds so much flavor to this vegan, sugar-free, and raw pudding! Place all ingredients in a processor or blender and blend until smooth. Depending on the ripeness of your avocado, and your desired thickness, you may need to add water. 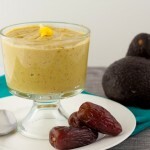 I added 2 tablespoons at the end of blending the ingredients. Top with seeds, berries, stir in some chia, or eat plain! To remove the flesh from the lemon, cut the lemon into quarters. Begin by peeling the flesh from the rind. You’ll be left with the flesh and a bunch of seeds in it. Remove the seeds one by one and place the flesh into the processor.